Hello! Fall is right around the corner. 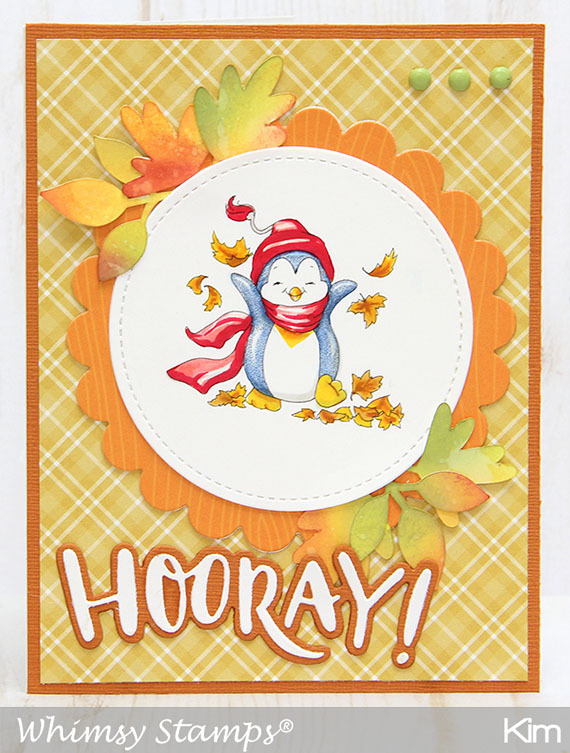 Today I have a fun Fall card to share with you using Whimsy Stamps' digital stamp. This adorable image is called Penguin Fun in Fall. I decided to change up the color of the penguin just a bit and used a shade of blue. I used a white gel pen to add lots of white highlights. I added lots of die cuts to add dimension to the card front. I sponged the leaves with distress oxide inks and tucked them behind the image. Check out this image and many more beautiful new releases over at the Whimsy Stamps shop.